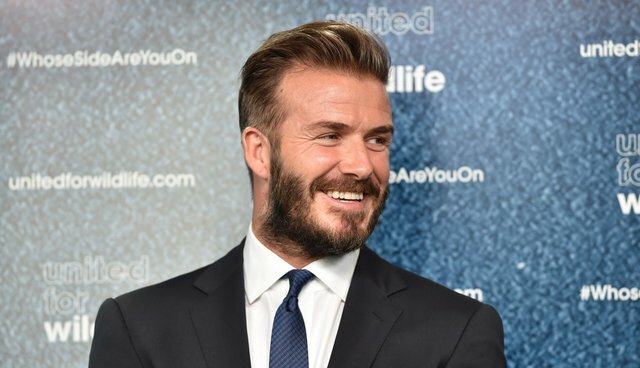 David Beckham and Prince William have teamed up again for wildlife, and this time they're using social media to save elephants and rhinos. At a meeting for the United for Wildlife group, a coalition of global conservation groups, the duo joined a slew of athletes (just in time for the World Cup) to unveil their sports-themed campaign. Tennis player Andy Murray, race car driver Lewis Hamilton, cricketer Rahul Dravid, rugby world cup winner Francois Pienaar and basketball superstar Yao Ming joined the campaign. They are urging people to use the tag #WhoseSideAreYouOn to encourage people to stigmatize the buying of ivory and rhino horn, reducing the demand for wildlife products. "We knew we needed to do more to bring the illegal wildlife trade into the open," said Prince William. "It thrives because it is hidden, often invisible, making it easy for criminals to expand their violent greed. We wanted to find a way to show the world what was happening." 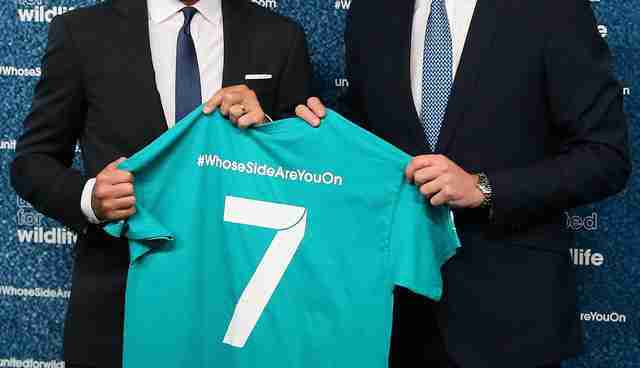 Inbox: The Duke fo Cambridge and David Beckham launch #WhoseSideAreYouOn to raise awareness of wildlife crime.